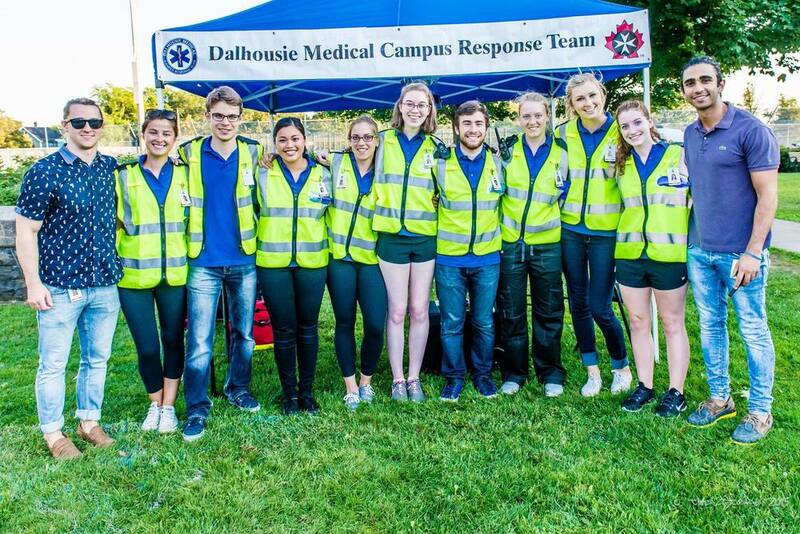 The Dalhousie Medical Campus Response Team is a student-run volunteer organization that focuses on providing first aid to the university community. With highly trained student Volunteer Medical Responders, DMCRT is proud to offer its services to all major events and activities that take place on campus. Equipped with advanced first aid certification, DMCRT provides coverage to athletic events, recreational activities, orientation week, other DSU society gatherings, and other special events. In collaboration with St John Ambulance, Dalhousie Security and the Dalhousie Student Union, DMCRT members work to build a greater sense of community, by allowing students from all academic disciplines to serve, enhance and promote the health, safety and overall well being of Dalhousie students and the broader community. Our First Aid Team provides support for the Dalhousie Campus and Community by attending events on campus to provide first aid for anyone in attendance. We also provide first aid support to the residence staff and security on high-risk nights in residence. Working with the many other Mental Health groups and supports on campus, the DMCRT Mental Health Division provide a doorway for students to access support. Our confidential and fast email service can help students find the right resources for them on or off campus. As the primary contact between St John Ambulance and the Dalhousie community, the DMCRT is in charge of organizing visits from the SJA therapy dog team. If a society would like to bring in therapy dogs for an event, then we help arrange to make that happen. To keep up to date with DMCRT, connect with us on Facebook, Instagram, Twitter and Snapchat! Sign up for our newsletter for details about our duties, first aid tips and other exciting DMCRT-related news! Sign up with your email address to receive our newsletter and information about recruitment! We respect your privacy. DMCRT will not share your personal information without your explicit permission.